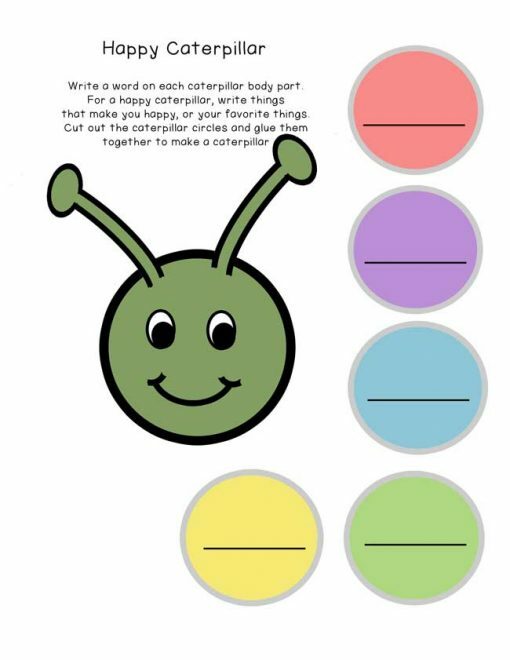 This is a cute little caterpillar craft to color, cut, and write. You write something that you like about yourself (or something that makes you happy) on the caterpillar body parts and then cut them out and glue them together into a caterpillar. Read more on the blog.